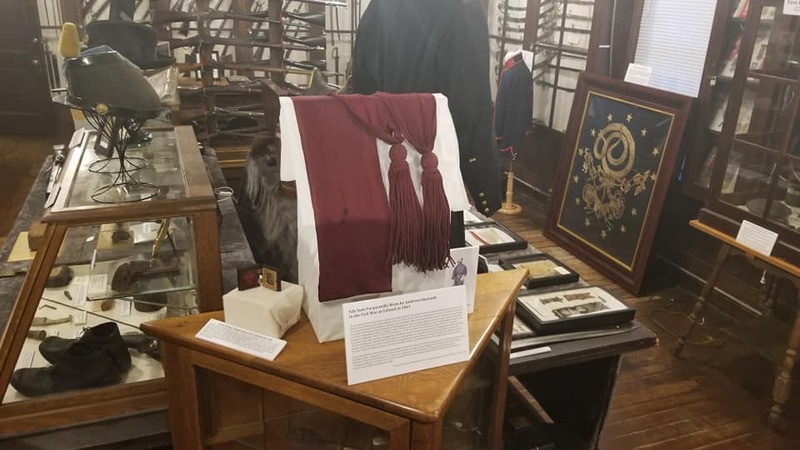 I was recently invited to follow the Rhode Island Military History Facebook page. I’ve been scrolling through the posts, and came across three that are of First Bull Run interest. 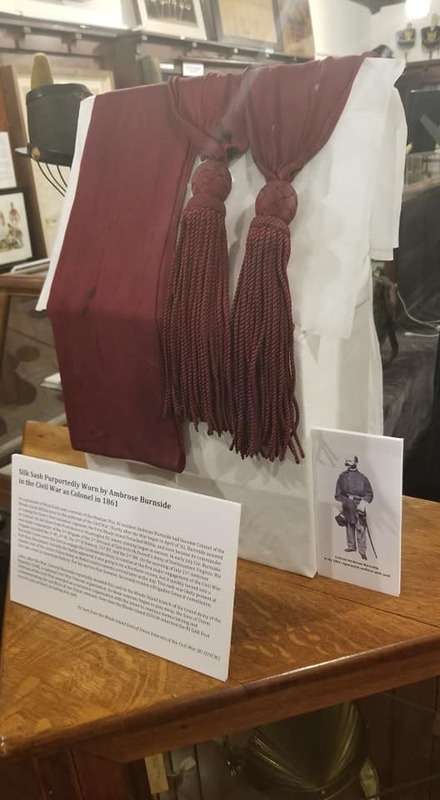 Page follower Patrick Donovan shared photos of an item recently received by the Varnum Memorial Armory Museum that was owned by Ambrose Burnside and was possibly worn by him at our favorite Civil War battle. Below are some pics, and Patrick’s description. 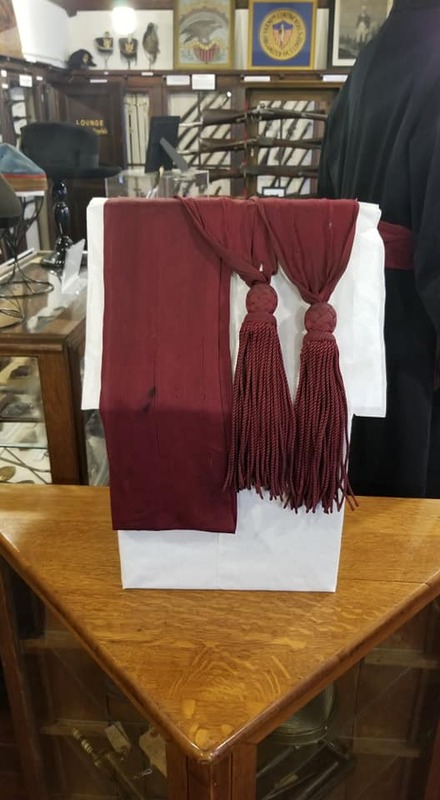 THIS just came in on loan…a sash purported to be Ambrose Burnside’s and worn by him as Colonel of the RI Brigade in 1861. He later gave it to the RI Grand Army of the Republic organization after the War. Burnside would later go on to become commander of the 9th Corps and then head of the famed Army of the Potomac in 1862. Thank you, RI Sons of Union Veterans of the Civil War, for the loan. Behold, Burnside’s 1861 sash as Colonel…the sash will go to a professional conservator for evaluation. In the meantime, we can safely display it. The knots have supports underneath to eliminate any tension on the fabric. The sloped front also keeps the effects of gravity at bay. A special vac was used to clean it and a steamer for removing wrinkles. Climate is controlled and there’s no UV radiation in the room. I’m going to have a Plexiglas cover made for it this winter. Signage will be complete this week.